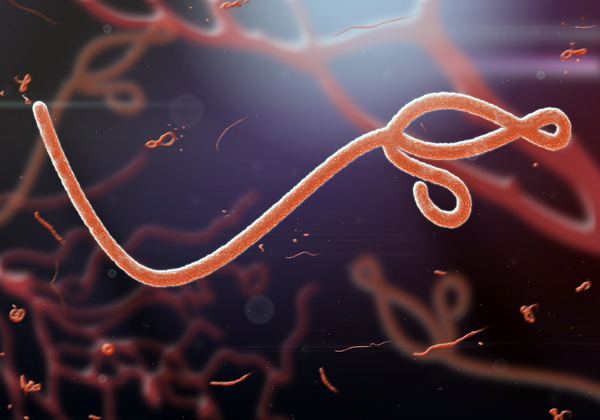 In 2015, the UN Security Council declared the Ebola Virus Disease (EVD), formerly known as Ebola hemorrhagic fever, outbreak in West Africa “a threat to international peace and security.” EVD, with a fatality rate of 50%, is the first health-related issue to receive such a designation. In fact, the Spanish Intelligence intercepted a plot to weaponize EVD during the last outbreak. Unfortunately, the natural reservoir of EVD remains unknown, but evidence from the past outbreaks of EVD and similar viruses leads one to believe that it is likely an animal-borne disease with bats as the most likely vector. While the 2014-2016 outbreak was declared contained, there has been a similar cluster of sixty EVD cases in the three areas within the Democratic Republic of Congo in early 2018. Of those cases, 28 have resulted in death, including 2 health care workers. The World Health Organization currently has the public health risk in the Congo listed as very high, the regional risk as high, and the global risk as low. However, the data upon which this risk level is built is problematic due to a delay in the detection of initial cases, the rural areas in which the disease is promulgating, insufficient epidemiological data available, and the serious nature of the disease. In May 2018, two patients who had confirmed cases of EVD fled quarantine and likely spread the disease to countless others. While the intent was not terrorism in nature, the end result remains the same – the virus is spread knowingly. Sadly, the current outbreak is being met with indifference by many. The two years since the last major outbreak has afforded time for research to be performed on the most recent variant of the virus. One of the most critical outcomes of this research is the knowledge that the newer variant of Ebola virus is much more persistent in the environment, especially in a dried blood matrix, than the 1976 variant. The environmental persistence was reported by Fischer et al (Emerging Infectious Diseases: 2015; 21(7) 1243-1246) and Schuit et al (PLOSOne: 2016; 11(2) 1-17). In a 2018 study by the National Biodefense Analysis and Countermeasures Center (NBACC) in the United States and the Defence Science and Technology Laboratory (DSTL) in the United Kingdom, it was determined that “dried blood inhibits effective disinfection of EVD and might provide a protective layer of matrix not completely dissolved in disinfectant, thereby shielding virus from inactivation.” While other standard disinfection materials were effective at destroying EVD in wet blood, only 5% peracetic acid was capable of destroying it in the dried blood. Armed with this knowledge, the decontamination and protection procedures must be modified accordingly. Decontamination. Destroy EVD on surfaces, including personal protective equipment, using a 5% peracetic acid solution. This is especially critical on surfaces where dried blood may be found (footwear, ambulances, stretchers, etc.). Protection. Due to the knowledge about the increased persistence of more recent EBV variants, it is prudent for emergency responders to increase the level of protection in accordance with the exposure risk. For the low-level exposure risks, PPE in accordance with agency, or CDC, guidelines are suitable. For increased risk where a moderate chance of exposure is perceived, the PPE should be increased to full body coverage with moderate material durability. For the highest risk where exposure to fluids is likely, the PPE should be much more durable while maintaining its viral penetration resistance, therefore NFPA 1999 multi-use or NPFA 1994 Class 4/4R ensembles are recommended. The above guidance is in accordance with the IAB Recommendations. For expanded details on recommend PPE, please see the InterAgency Board Recommendations for Selection and Use of PPE for Against Ebola Hazards (www.interagencyboard.gov). To learn more about biological threats and decontamination, contact training@federalresources.com.